There is nothing like an early morning shoot around Delhi. The faint whiff of burning left in the air from the night before mingles with the musky smell of a city so hot, even dawn can feel like an inferno. 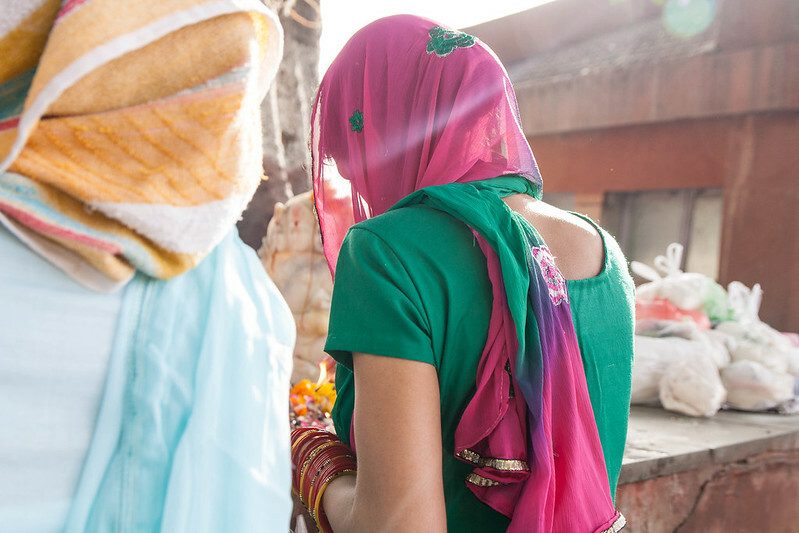 Morning is when India feels least foreign and most like home to me, filled with people quietly going about the same sorts of morning routines I do, radiant in the glow of that gorgeous, gorgeous early morning light. As much as I love getting out for a sunrise shoot, it is still such a rare treat at this point in our lives. There’s the toddler staunchly devoted to his early morning cuddles and story books, and the husband who could really stand to sleep in most weekends. By the time all needs have been accounted for, the sun is high in the sky, it’s 110 degrees out and the only thing left to do really is preoccupy myself instead with a fantastic stack of my husband’s homemade blueberry pancakes–a fair trade-off if there ever was one. Once in awhile though, the stars align and I’m able to leave my boys with a cup of coffee (for Chris) and the “Trucks” app on the iPad (for Will) while I go off to shoot around the city. 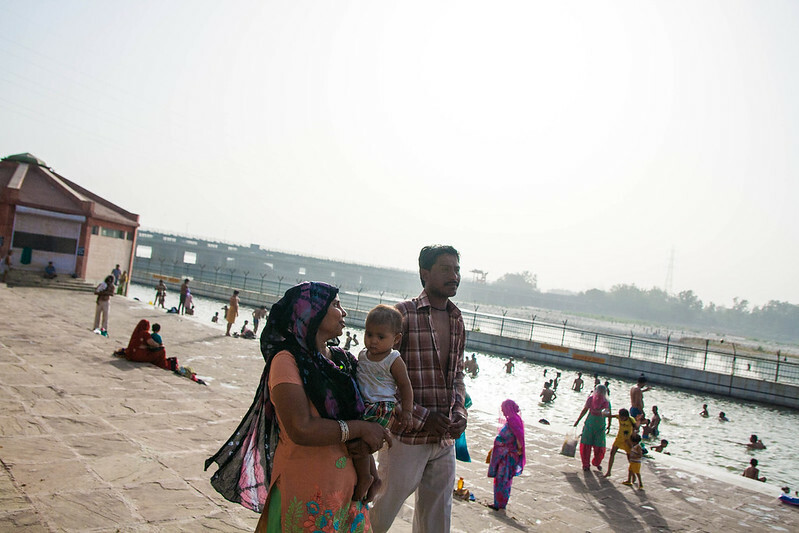 Capitalizing on a slight diaper malfunction that woke all three of us up at 5:30 Saturday morning, I kissed my men good-bye and ran out the door to meet a photographer buddy and another friend for a shoot on the banks of the Yamuna. The Yamuna is the largest tributary river that flows from the Ganges and is thus considered quite holy. Sadly, the river dies by the time it reaches Delhi. 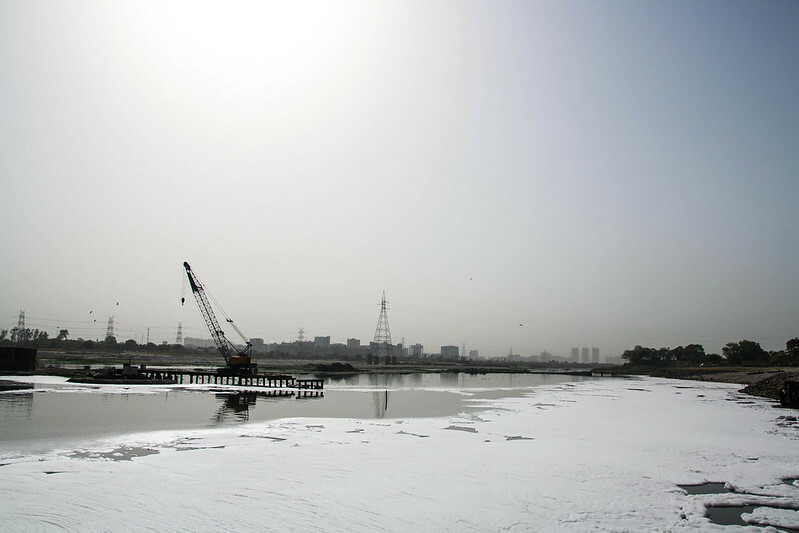 No fish can survive in the Yamuna’s polluted currents and the PH levels are so unnatural that farmers have difficulty irrigating their crops with its waters. One smells the river long before one can see it, a mix of both organic and inorganic waste wafting from the opaque black water. 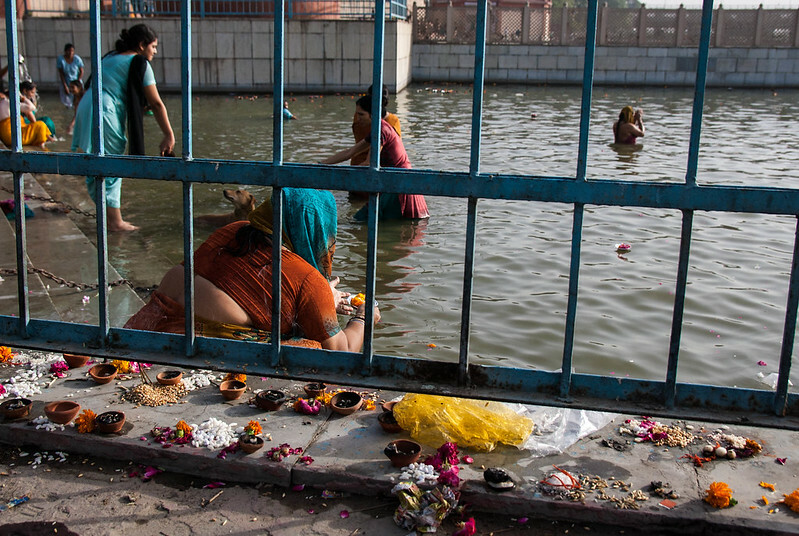 Still, holy is holy, and for the most devout or the most desperate of Delhi’s Hindu believers, bathing in the Yamuna is still a sacred form of worship–and an excellent way to cool off in the summertime. 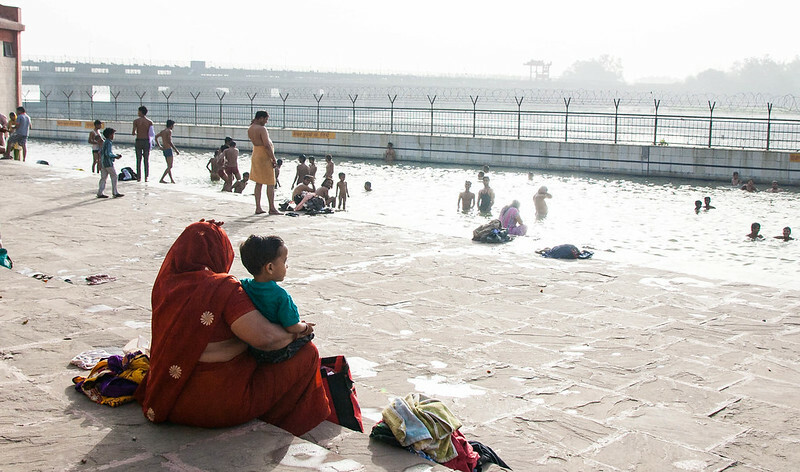 For those who would rather not enter the river directly, there are several public swimming pools filled by the Yamuna on the banks of the river. The water is filtered there for large trash, though not much else. 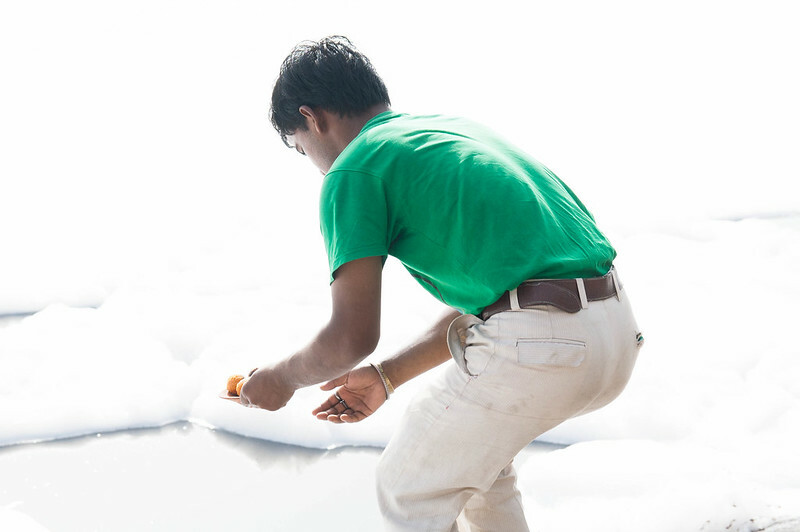 Further down, beyond the dams, the river runs white with chemical run-off and people part the glacier-like waste formations with their hands and bodies to dive in for a swim or bury an offering down below the layer of thick white foam. In a way, the shoot was a bit of a bust. 6:30 am turned out to be too late to catch either the truly useable sunrise light or the huge throngs of crowds my buddy needed to put his shots up on the wire. Still, for me, just getting out with my camera again felt so good–rusty but good. And it was so nice to see Delhi again. After being holed up for weeks trying to escape the heat, I didn’t realize how much I’ve missed this city. Hi! I liked this post but was greatly saddened by some of the pictures. It is indeed sad that on the one hand we consider our rivers holy and on the other hand we dump all those poisonous wastes into it. Hope and wish people would stop and think about their actions!! 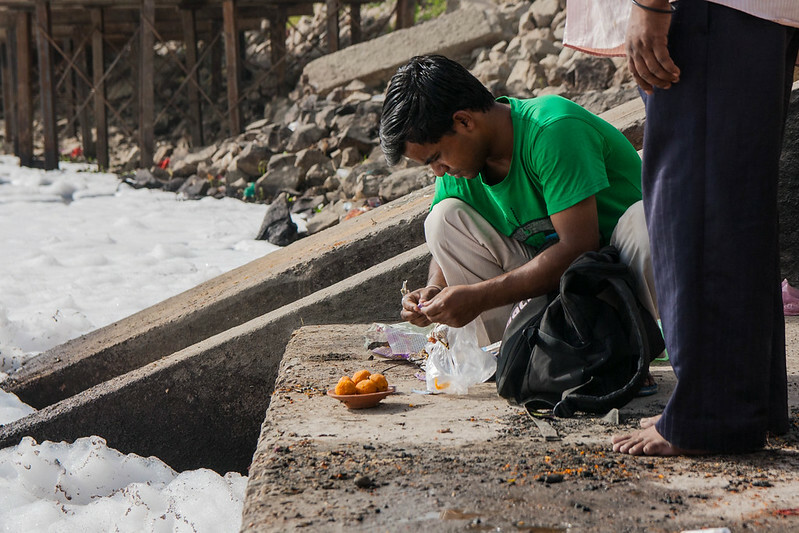 It is true that it is sad how polluted the Yamuna is but, at the very least, there are so many people in Delhi who do care about the river. 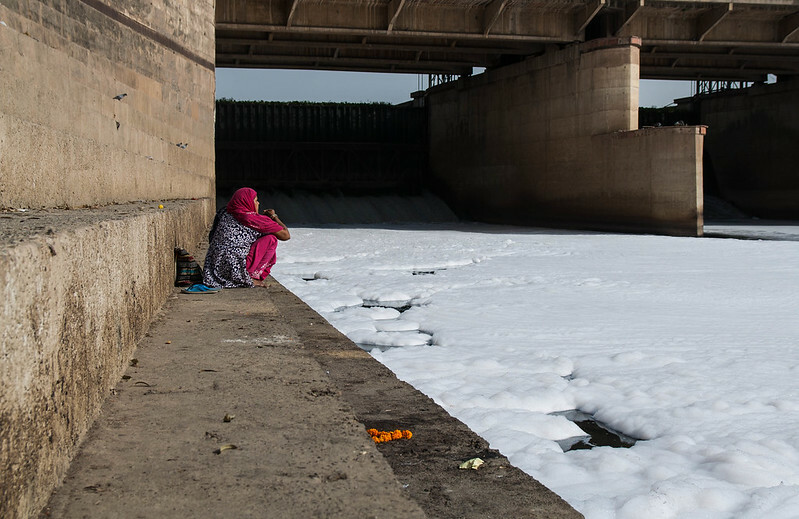 And quite honestly, as polluted as the Yamuna may be, it’s no where near as bad as many of the rivers in China we used to see. Thanks for reading! Amazing photographs and that foam is something almost surreal or not – definitely learned something new today and love the images as always! Great shots. 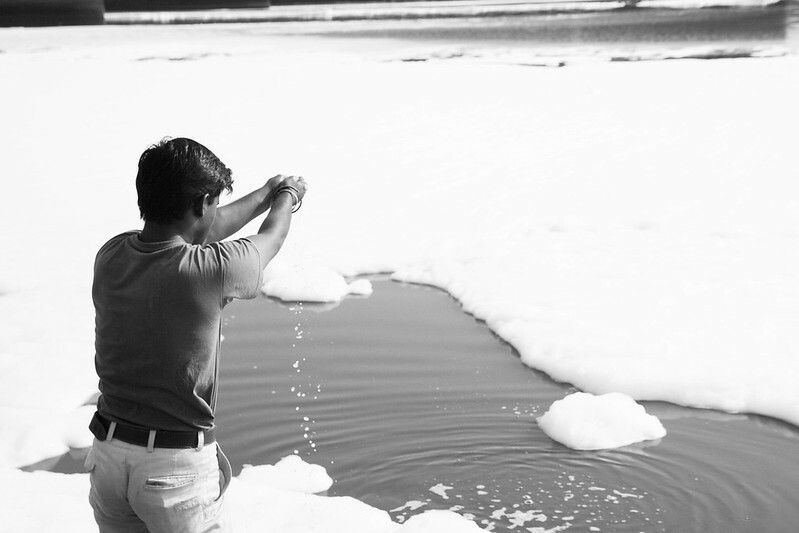 That river foam is insane!